I was super excited when Soph (from SophDoesNails on YouTube) announced that she had collaborated with Make Up Revolution and this eyeshadow palette was something I knew I needed as part of my collection pronto. 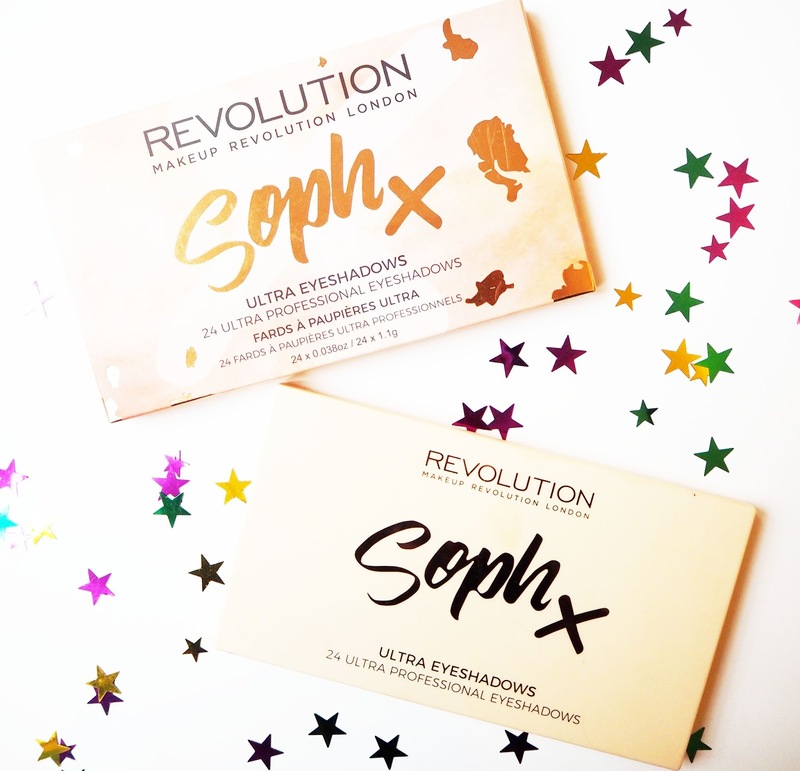 Personally I think Make Up Revolution do some great make up products, in particular their eyeshadows. Eyeshadow palettes these days are a pricey item on the whole so its refresing to see a brand offering good quality products at an affordable price point. 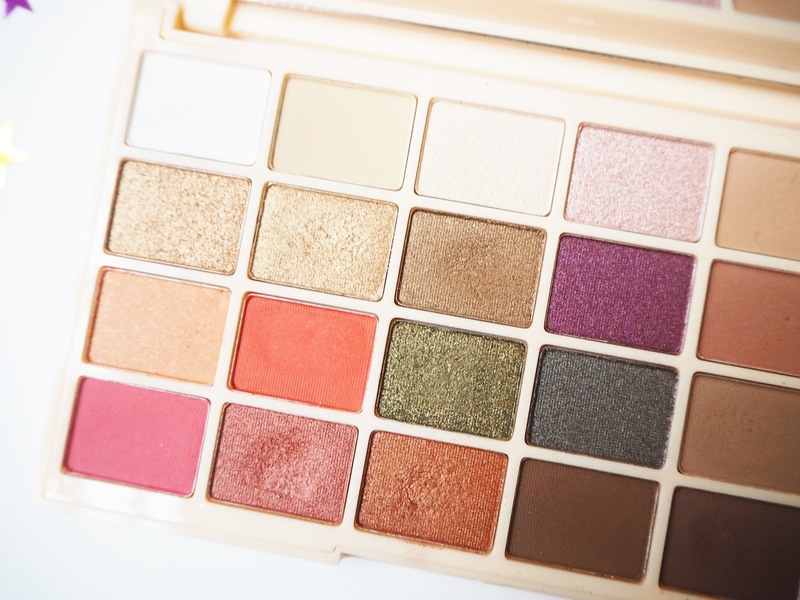 This beauty features 24 shades for £10 which very purse. The packaging steps away from Make Up Revolution's typical black packaging, this is a pastel pinky-peach with rose gold writing. Whilst it looks pretty it is a magnet for getting messy unfortunately, mine no longer looks as pristine as it did when I took these picutres! However you do get a huge mirror which floats my boat as there is nothing more annoying than a mirrorless palette. The colour range in this palette is impressive and you can tell a lot of thought has gone into it. There are plenty of neutral tones for day to day looks but also some great pops of colour for when you're feeling a bit more adventurous. There are 14 shadows in a matte formula and the remaining ten are shimmers, which I think is a good split. 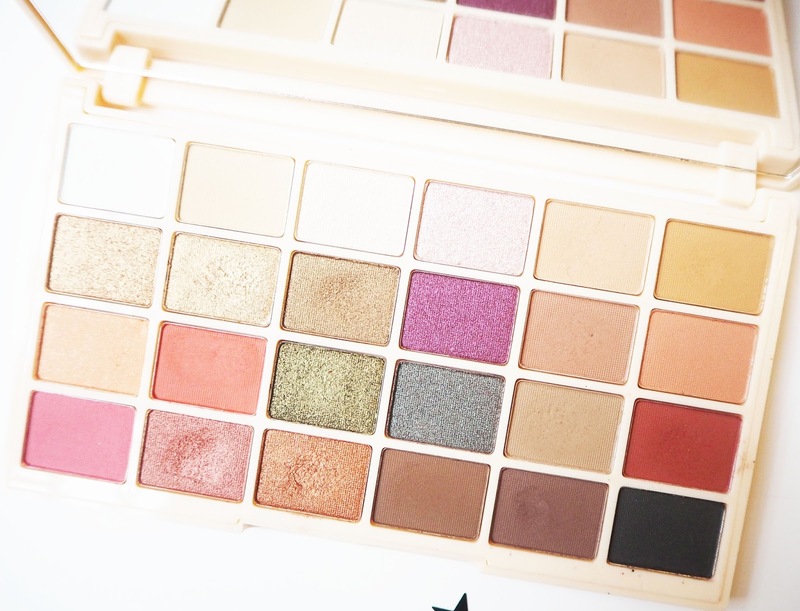 Many times I've tried palettes where there are just not enough matte shades there for my liking. The formula itself is pretty decent. Some of the mattes take a little more work than others to get a decent colour pay off but I've found the shades Cuppa Tea and Tiramisu to be fab. The shimmers are absolutely stunning, again they can take a little building, but the pay off of them is just beautiful. They are so shimmery and dense with pigment that they almost look foiled. There is something for everyone in here and it would suit so many different ocassions, you've got Pine Tree which work great for Christmas looks, Peaches and Cloudberry which will look amazing on holiday or when the weather heats up and a few gold/bronze shades when you're wanting to create something ultra glam. I wanted to mention that Soph also brought out a highlight palette with this release which also looks beautiful. Personally I didn't get it as I wasn't sure many of the shades would suit my fair skin tone, I do think it would suit a lot of people though. 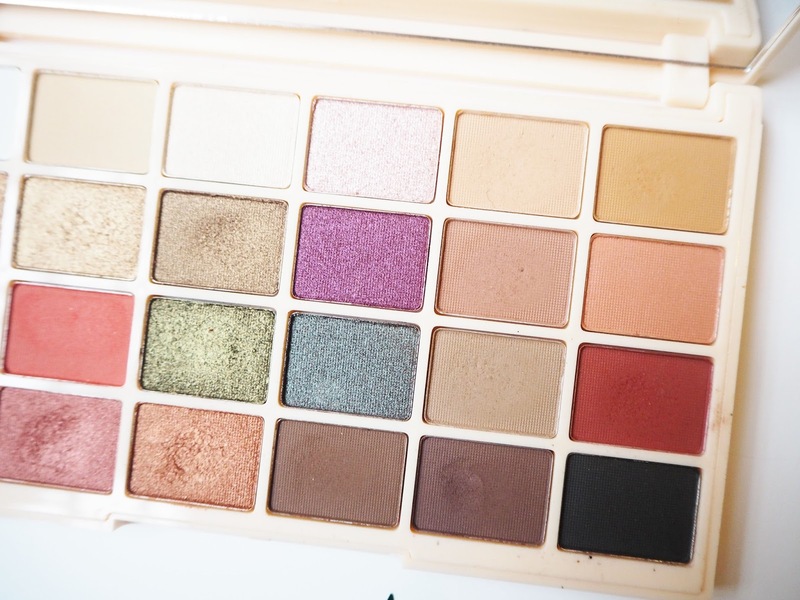 Overall I love this palette, I think Soph has done a fab job with it. I would definitely recommend it if you're in the market for some new eyeshadows, especially as these are such a steal. Have you tried anything from this collaboration? 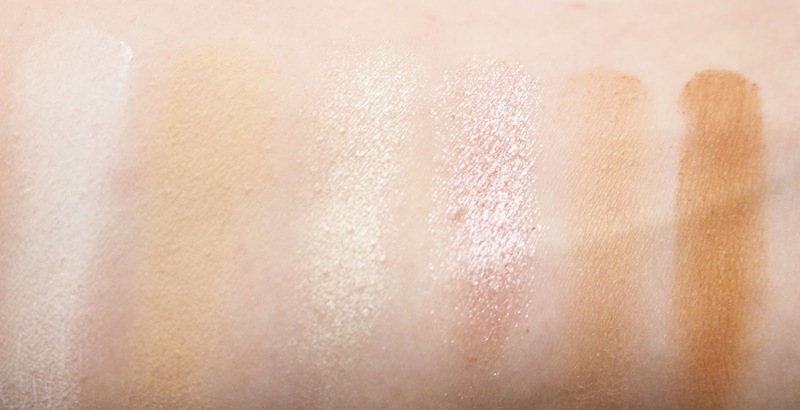 Do I need to get the highlight palette? Let me know your thoughts!